The Revised Uniform Fiduciary Access to Digital Assets Act (or “UFADAA”) will take effect in Indiana on July 1. The new law addresses the rights of a fiduciary, such as a personal representative, trustee, attorney-in-fact or guardian, to access digital property, such as online financial accounts, emails, texts, social media accounts and online document and picture storage. UFADAA will replace Indiana’s current digital access statute, which applies only to personal representatives. To date, UFADAA has been adopted by 16 states and is currently pending in approximately 16 more states, including Illinois and Ohio. Individuals who wish to take full advantage of the features of UFADAA will need to take action, including updating their estate planning documents, as described below. Failure to take action may result in the loss of access to digital property (or even the deletion of digital property) upon a person’s death or incapacity. Under UFADAA, a company that stores digital property (referred to as a “custodian”) may provide an online tool that allows the owner of the digital property (referred to as the “user”) to specify whether the user’s digital property should be disclosed to others and, if so, to whom. If a custodian does not make an online tool available to its users or if a user does not take advantage of a custodian’s online tool, then the following rules will apply. A user may include provisions in his or her will, trust or power of attorney document to either allow or prohibit fiduciary access to the user’s digital property. Adding express digital access provisions to wills, trusts and power of attorney documents will be beneficial for most individuals since it may be cumbersome to complete the online tool for each and every digital asset and since not all custodians are likely to provide an online tool, at least not initially. If a user provides no instructions, either by using an online tool or by adding digital access provisions to his or her estate planning documents, then each custodian’s terms of service agreement will govern whether the user’s fiduciaries will have the ability to access the user’s digital property and a custodian’s terms of service agreement may prohibit fiduciary access completely. For this reason, it will be important for most individuals to take action, either by using online tools or by adding digital access provisions to estate planning documents (or both). If a user does not use an online tool or add specific digital access provisions to his or her estate planning documents and if the custodian’s terms of service agreement does not otherwise restrict fiduciary access, then the following default rules will apply. Personal Representative. A deceased user’s personal representative (i.e., executor or administrator) will be permitted to access the deceased user’s digital property for purposes of carrying out the personal representative’s duties but will not have access to the content of the deceased user’s electronic communications, such as emails and text messages, absent express authority in an online tool or a will. Trustee. If a user creates a trust and the user’s digital property passes to the trust, the trustee will be permitted to access the user’s digital property for purposes of carrying out the trustee’s duties but will not have access to the content of the deceased user’s electronic communications, such as emails and text messages, absent express authority in an online tool or in the trust agreement. Attorney-In-Fact. If a user authorizes another person (called an “attorney-in-fact”) to act for the user under a power of attorney document, the attorney-in-fact will be permitted to access the user’s digital property for purposes of carrying out the attorney-in-fact’s duties but will not have access to the content of the deceased user’s electronic communications, such as emails and text messages, absent express authority in an online tool or in the power of attorney document. Guardian. If a user becomes incapacitated and a guardian is appointed to manage the user’s financial affairs, the guardian will have very limited authority with respect to the user’s digital assets, absent express authority in an online tool or other estate planning document. The guardian may request that the user’s online accounts be suspended or terminated but otherwise will have no access to the user’s digital property without a court order that is issued after notice to interested persons and a hearing. Taft’s private client attorneys will send an additional update as things proceed in Ohio and Illinois. In the meantime, we encourage you to contact us with questions about UFADAA or if you wish to take advantage of its provisions. Web sites, email, social media, online accounts and smartphones – we are surrounded by media. Many Americans have 30 to 80 online accounts with passwords. These may include accounts to purchase various items, email accounts, financial accounts and social media. Most banking and financial services accounts include online banking and access to investment funds. An added benefit of online banking is that many charities now are experiencing significant growth in online giving. As smartphones become more powerful, users are accessing all of these accounts through various “apps.” There also are large numbers of smartphone users who now have chosen Apple Pay or other methods of using their phone rather than a credit card to make payments. With this growth of media, online accounts and passwords, you need an “ePlan” to manage digital assets in your estate. This “ePlan” should cover the different types of assets, plan for storage of electronic information, empower your executor to manage the account and give appropriate digital directions. 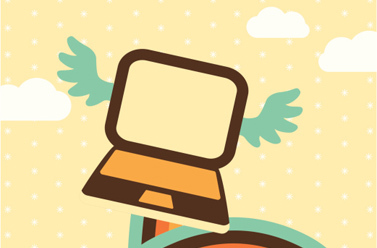 There are four major types of electronic assets in your estate. The first part of an ePlan is to gather information about your electronic assets and make it available to your executor. Electronic assets typically are personal, financial, business and social media. Your list should specify the login name and password for each digital account. Because passwords change, a regular schedule for updating the list is important. First, personal electronic assets include photos, videos and music. These assets will often be saved in directories on your hard drive. However, because it is common to upgrade a computer periodically, some individuals create a backup of the photos and videos on CDs, DVDs, memory drives or internet storage accounts. Personal electronic assets also include your email accounts and iTunes or other music collections. Email accounts on Gmail, Yahoo, Hotmail and other plans may include thousands of messages. If you desire to retain this data, it is useful to back up the email accounts and store those with other electronic records. Because most internet service providers will delete an account if it is inactive for a period of time (such as six to nine months), the majority of email messages will be lost unless you have made plans to archive them. Second, financial records are quickly moving online. Most computer users now use online banking to make automatic payments. They also access their retirement and investment accounts through the internet. You also may have financial accounts with Amazon, PayPal, eBay, airlines and other vendors. With the growing popularity of Bitcoin, it is possible to have substantial value in a digital currency account. Because the password is essential to recovering the account value, your Bitcoin and other passwords will need to be available to your digital executor. Third, business electronic assets include intellectual property that you may have in websites, the uniform resource locators (URLs) or web addresses that you own and any software you have developed. Business assets may have very substantial value. If you have business assets, it will be important for you to discuss the type of asset and arrangements for its future use with your attorney. The fourth general category of electronic assets is social media. You may have a Facebook account, a Twitter account, LinkedIn connections, YouTube videos or a series of blog posts. All of these types of social media may have sufficient value that your estate will want to retain the asset. Because your ePlan contains account names and passwords, security is essential. You do not want the list to be in your will or living trust. It needs to be saved in a secure location. If there is potential family conflict over an estate, this list also should not be accessible to most family members. Most individuals will find that saving a secure list of eAssets and passwords in a location available to their digital executor is the best solution. There are several options for maintaining electronic information. A fairly straightforward plan is to copy your electronic information (pictures, videos, music and archived email) to memory drives or DVDs. These may then be stored in a home safe or safety deposit box. Since in some states a safety deposit box is sealed when the owner passes away, the list of electronic assets and passwords will usually be saved in a home safe or other location. Because much of your electronic information is on external websites, your digital executor will need passwords and account names. There are several options for handling this key information. The low-technology solution is to write down the passwords and account names and keep the record in your home safe. An electronic option is to maintain this information on a spreadsheet or other electronic software and store it on a memory drive. Because the passwords are designed to be protected and security is important, it is best if these files are not backed up on your computer hard drive. Any information on a hard drive could potentially be disclosed to third parties. With a USB memory drive, the spreadsheet is updated only when the drive is inserted into a USB port. Only the memory drive is permitted to store the spreadsheet. A third option is to use one of the available password protection programs. If you have a reasonable level of confidence in the internet and the various encryption methods, a password program is a viable solution. Several iPhone password programs use the Apple iCloud System to share the passwords between an iPhone and an iPad. While this requires confidence in the encryption technology to protect the password on both the device and in the cloud, this method provides redundancy in the maintenance of the various passwords. It also protects and updates the information by using both an iPhone and an iPad. The digital executor needs access to just one of the two devices to carry out your ePlan. Of course, your executor or designated person will need to have the iPhone or iPad access password and the secure software program password to access the account. Because many individuals have 30 to 80 different accounts and passwords, using iPhone password software with appropriate encryption is a fairly attractive solution. After you have written down the various electronic assets and determined the appropriate storage methods, it will be necessary to consider the actions of your digital executor. First, your estate planning documents should name that person and authorize the executor to have access to your digital accounts. For some accounts, such as Bitcoin, the executor also must have the password in order to access the account. Other online accounts may be accessible to the executor if he or she has the appropriate authorization in the estate plan and, in some cases, from the probate judge. A Uniform Law Commission has produced suggested legislation with the title, “Uniform Fiduciary Access to Digital Assets Act (UFADAA).” This act grants the executor and other fiduciaries the right to have access to your digital assets. Because many states have given access to only part of your digital assets, it is important for your estate plan to grant access powers to the executor and for your strategy to make the passwords available. Finally, you should write a letter to your executor with suggested actions to manage your digital assets. Because technology and the policies of financial and social media companies are continually changing, these proposed actions are likely to be recommendations rather than mandatory steps. Your letter may recommend the distribution of various information to family members. Because digital items such as photos and videos may easily be duplicated, you may ask your executor to share copies of those with family members. You also may explain your proposed management of various social media accounts. Your financial accounts will initially be controlled by your executor. After account assets are transferred to the recipients, they will be placed in accounts in the name of the new owner and your financial institution will close your account. While internal policies for the various digital media providers are rapidly changing, several of them recognize that some of their users are passing away each week. Therefore, there are specific arrangements to handle the accounts of deceased users. The policies described below may change – digital executors should check with each company and review its latest terms of service. Facebook permits a user to select a “Legacy Contact.” If your Legacy Contact is a Facebook member and a friend of the decedent, he or she is permitted to use your password to manage your account (with limited rights). Normally, most accounts are closed by the legacy contact. However, some individuals wish to permit their account to remain open to record the events of their lifetime. Twitter requires several steps to deactivate an account. The executor sends a death certificate, a notarized letter and a copy of the obituary to Twitter. Yahoo follows similar procedures and will not grant access to sent or received emails. Google has created an “Inactive Account Manager” option. On your Google account, you may decide to hold open the different accounts for three to 12 months after your demise. During this time, your Inactive Account Manager may be empowered to control your Google Drive, Gmail, YouTube and Picasa Web Albums. Therefore, all of the various services that are provided by Google can be managed by the one designated person. If there is no activity for the designated time, Google will notify the persons you select to assume management of the account. Microsoft requires a death certificate, proof of kinship or power of attorney and a valid identity card. 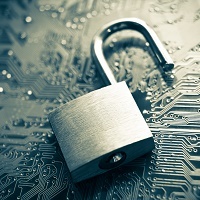 If the digital executor qualifies, he or she may manage your Microsoft accounts. If the account is inactive for one year, it is deleted. Apple iCloud users agree that account rights terminate upon death. Most Apple media files are accessed through their servers and user rights to eBooks, movies, iTunes and other media will lapse. Amazon has a similar policy for Kindle eBooks. The content is leased and rights terminate when the user passes away. 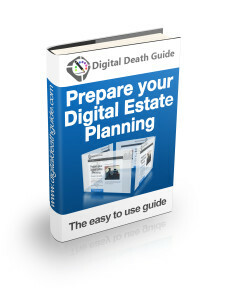 Digital estate planning is a new and rapidly changing field. However, you may take specific actions to protect online assets and enable your digital executor to manage these accounts. By listing all of the various assets, providing a secure method for those assets to be archived, ensuring that your executor has access to the appropriate passwords and account names and granting authority to your representative to manage eAssets, you can protect digital assets. These valuable and personal accounts may then be a meaningful gift to your heirs. Vast areas of people’s lives are now lived out in the digital world. Social media profiles, financial accounts and professional and personal emails are now regarded as digital assets and they are closely protected in life by passwords and access codes. But these protective measures can become unwelcome obstacles when someone dies, leaving behind a complicated and confusing digital legacy. Often relatives and friends don’t know how much their loved ones have locked up in their e-wallets and PayPal accounts. 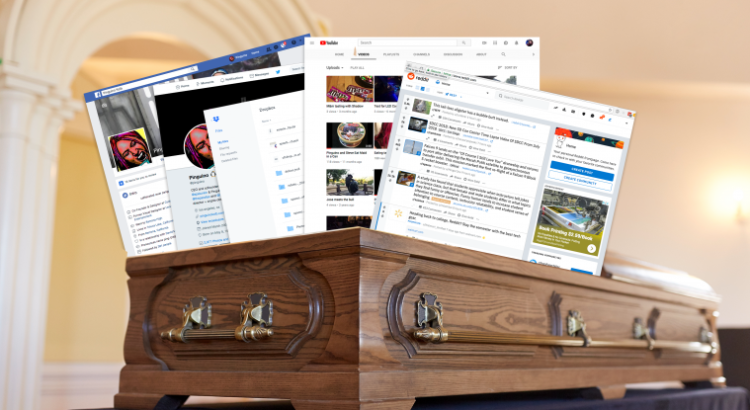 But the UK’s Planned Departure is now offering users a comprehensive way to organize and protect their digital legacy, allowing the recently deceased to pass on assets such as Bitcoin and Twitter followers. Komal Joshi founded the startup after the death of her own father in 2010, when she encountered problems finding the passwords and secret answers for all his online accounts. 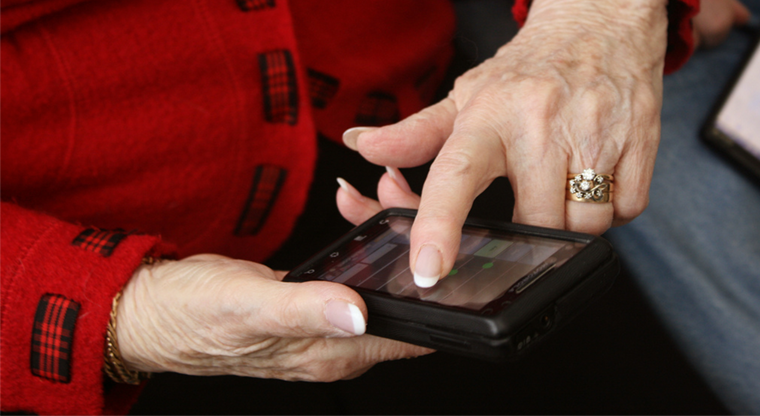 Functioning similarly to a traditional will and testament, Planned Departure’s customers can rest assured that whoever is involved with administering their estate will be able to access every part of their digital existence — eliminating time and effort spent dealing with digital service companies, and the distress it can cause for bereaved loved ones. Users can sign up for the service indefinitely for GBP 199.99 or pay an annual fee of GBP 19.99. They then list their assets and their wishes for each one. These can include digital inheritance from e-wallets, currencies such as Bitcoin and AirMiles, sentimental documents such as photographs, text files and digital libraries of eBooks or downloaded music. Users with popular social media accounts — a Twitter account with many followers for example — can even donate them to a designated charity, enabling them to exploit their marketing value for a good cause. Are there other ways that digital services can make it easier to deal with the assets that the deceased leave behind? Think about what would happen if you were to die unexpectedly or become disabled. If your spouse or other loved one doesn’t have your user names and passwords for your financial accounts, he or she may find it awkward at best and impossible at worst to manage your affairs. As 2015 begins, do a New Year’s check of your estate-planning documents, making sure your spouse or some other trusted person has your login information. And make sure you have the correct beneficiaries. As part of your estate planning documents, you should include a list of all online accounts and passwords for your executor. Your will can stipulate what should be done with email and other online accounts at your death. The list doesn’t need to be formal. It can just be a folder with a printed list of logins and passwords. Passwords change, so updating your list is a good part of an annual process. If you have password-management software, which is free or inexpensive, you can just give your spouse or executor the master password, which unlocks all others. Bank and brokerage accounts contain financial assets, but your digital estate often has little or no monetary value but great sentimental value. Items in a digital estate can include a Dropbox account with thousands of photos, email accounts, and social media accounts like Facebook and LinkedIn. All this could be lost without current logins and passwords. Absent a will, it may be very difficult for an executor to deal with digital vendors. As of this writing, only 7 states have laws addressing online estate planning, so in most cases the service contract between the deceased and the online vendor will dictate what powers an executor may have over an online account. It’s a little bit of the Wild West. Putting your instructions in your will or an addendum to it may not be foolproof, and some vendors may not accept it, but it’s at least a good start. There’s another area where people need to do an annual checkup. People often forget to update their beneficiaries. Make sure that you have the correct beneficiaries on all life insurance policies, annuities, and retirement accounts such as IRAs, Roth IRAs, 401(k) plans, and similar plans. These assets go to the beneficiary or beneficiaries listed on the account regardless of what your will says. So, it’s crucial that they’re correct and up to date. It’s a tangled Web we leave when it comes to managing digital assets after death. Email, blogs, financial accounts, Internet properties, files and social networks live on after we’re no longer physically here—and without the passwords, family and loved ones can be shut out from important information at a difficult time. Identity thieves cause additional heartache by stealing personal information of the deceased and spamming friends and relatives. Nowhere is that more prevalent that on social networks. 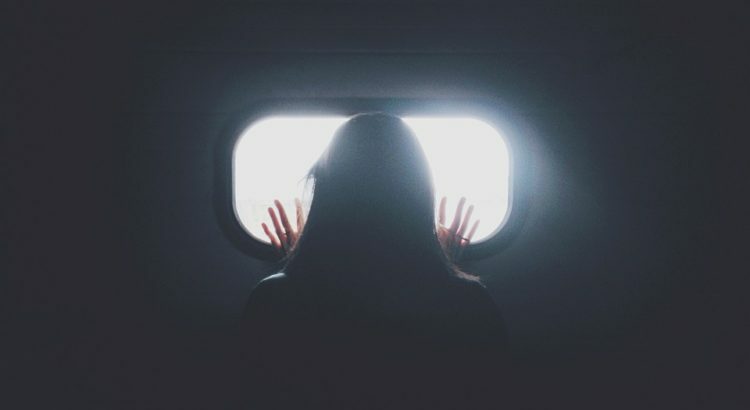 Friend requests and recommendations may be made to and from the deceased through automated programs, mutual friends or hackers. And while social networks have policies on deactivating accounts of the deceased, they usually require additional proof in the form of death certificates and published obituaries. Increasingly, attorneys and estate planners recommend naming beneficiaries to one’s digital content, that is giving them access to log-in information, much like they would with bank accounts, stocks and safe deposit boxes. Instead of allowing a family member to simply take control of a deceased user’s account, the largest social media website—with more than 1 billion users worldwide—lets them either memorialize or delete the account. 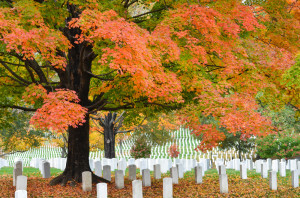 Memorialized accounts don’t accept new friends and, depending on privacy settings, allow only confirmed friends to visit the page to view photographs and leave posts of remembrance. Content that the deceased shared, such as photos or posts, remains visible to the audience it was previously shared with, but memorialized timelines don’t appear in People You May Know and other suggestions. When closing the deceased’s account, proof of death is required, such as an obituary, news article or Internet link. Unlike other social media services, Facebook allows non-family members to perform this task. To deactivate an account, Twitter says it will “work with a person authorized to act on the behalf of the estate or with a verified immediate family member of the deceased.” It requires, via mail or fax to 415-865-5405, the username on the account, a copy of the deceased user’s death certificate, a copy of the requester’s driver’s license or other government-issued ID, and other information, such as the relationship to the deceased. Family members can save a backup of the deceased’s Tweets. Anyone, family or not, can request to delete the account of a deceased member. The process starts by answering questions on an online form signed electronically and providing proof of death—a death certificate, obituary, news article or Internet link. Several months ago, Google launched an Inactive Account Manager feature that allows users to share information after they die on company sites including Gmail, Blogger, Picasa and YouTube. If there’s a period of inactivity, from three to 18 months, Google will first try to contact the account holders. If there’s no response, it alerts friends or family members who can access whatever personal data you granted. To access or deactivate a deceased user’s account, an authorized representative of an estate must apply directly to Google. The process consists of two stages: First, reps must provide, by mail or fax to 650-396-4502, their contact information and proof of identity, along with the deceased’s death certificate and Gmail address. Then, after what may take months, properly vetted reps must provide additional legal documents, including an order from a U.S. court.